Biographies of political leaders are one of my favorite nonfiction genres. 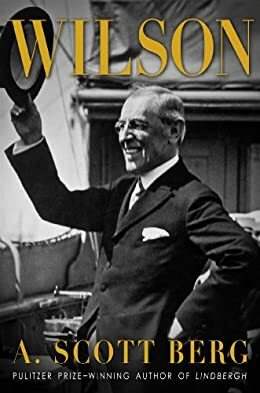 This month A. Scott Berg published his biography of American president Woodrow Wilson. Kirkus noted he "emphasizes the extraordinary talents of this unlikely president in an impressive, nearly hagiographic account." For a chance at winning this book and a $100 Threadless gift certificate, leave a comment with the name of the politician whose biography you would most like to read. I'm waiting for the definitive Bill Clinton book. The winner will be chosen randomly at midnight ET Friday evening (September 20th).